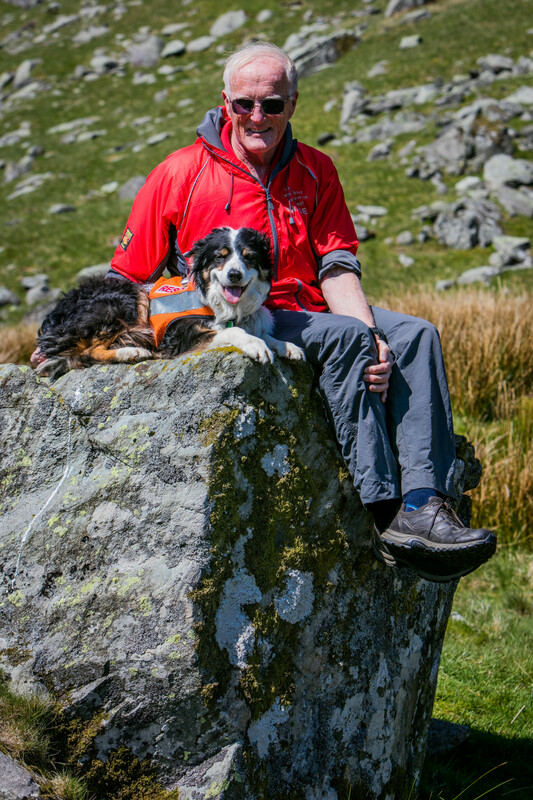 Search Dog Ginny graded in March 2006 with her handler, Mick Guy. 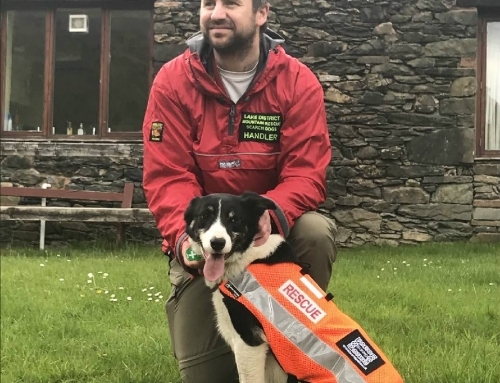 Attached to Keswick MRT, she was a regular attender at callouts over her 10 years of service, which finished at the end of March 2016 – or at least as far as the harder callouts are concerned. 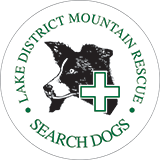 In that period, the dog team responded to 258 callouts, resulting in 178 searches. 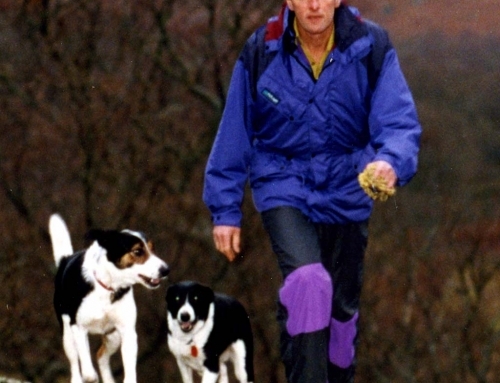 She was involved in the location, or finding, of 11 missing persons in that time. 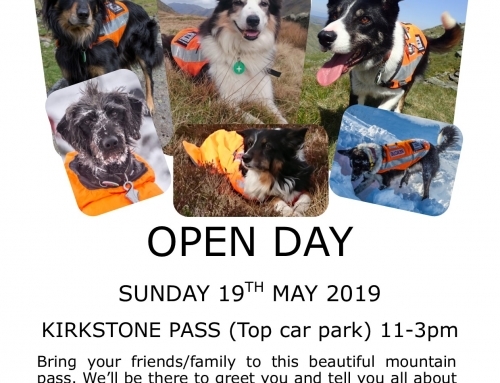 She was always a regular attender at Keswick MRT callouts as well, and was a source of comfort and friendship to a number of casualties. They, it has to be said, were somewhat confused by her habit of bringing them a tiny piece of heather, or a blade of grass to play with, when she couldn’t find a proper stick!